Las Vegas Motorcycle Hall of Fame announces Arlen Ness as inductee into the 2017 class. Arlen Ness, an American motorcycle designer and entrepreneur, is best known for his custom motorcycles. Ness received acclaim for his designs, most of which are noted for their unique body style and paintwork. From humble blue-collar origins, Arlen has risen to the highest ranks of the motorcycle industry. In a world where chopper builders rule television airwaves, Arlen reigns supreme. Arlen didn't rise to this level by merely being one of the first major builders on the scene; he earned his place in the pantheon of customers by being the most innovative builder to ever set a torch to metal. When other builders were settling for extended forks and mile-high sissy bars, Arlen was using center-hub steering and mounting two engines on his choppers. When other builders were bolting together choppers with off-the-rack parts, Arlen was crafting turbocharged machines with custom-built overhead-cam engines. 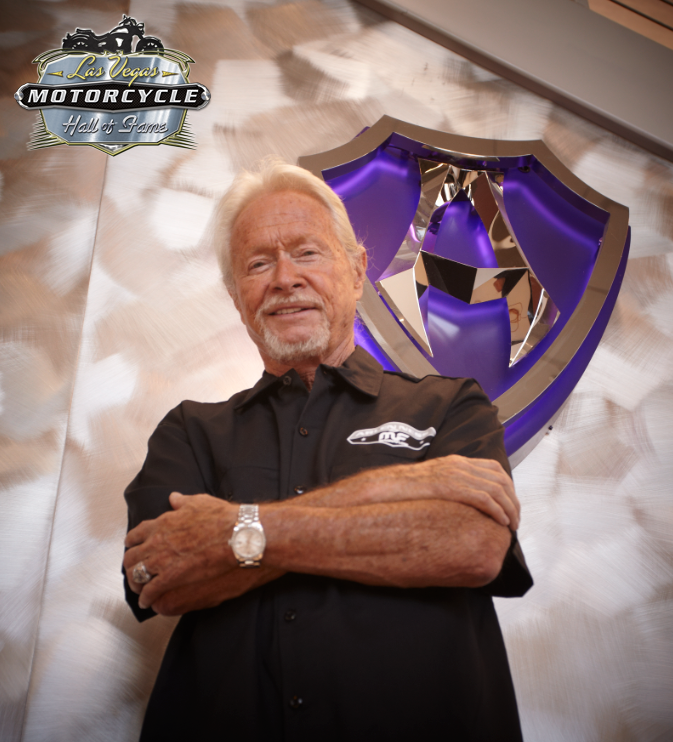 "I am very proud to be inducted into the Las Vegas Motorcycle Hall of Fame. It is a good feeling to know that people like what we do with motorcycles. I have had this passion for over fifty years. 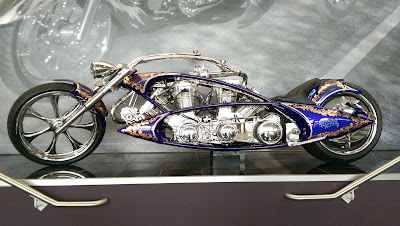 I have attended Las Vegas BikeFest which has featured awesome motorcycles and exceptional builders. I have attended many shows and events all over the world. I think these events are great for the industry and I am happy to be a part of it," says Arlen. Arlen remains one of the most innovative builders in a chopper scene populated by many talented young innovators. "To have The King of Choppers inducted into the Las Vegas Motorcycle Hall of Fame is an honor for all riders and builders throughout the world, who have admired and been inspired by Arlen's work for so many years", states Mindi Cherry, Vice President and Show Manager of Las Vegas BikeFest. Las Vegas BikeFest, in partnership with Branscombe Richmond, launched the Las Vegas Motorcycle Hall of Fame at the 2016 rally. "The Hall of Fame is designed to honor the iconic ambassadors, influential heroes and people who put their interests above and beyond for the motorcycle community. This honor celebrates, illuminates and preserves the rich tradition of motorcycling in America", says Cherry and Richmond, curators of the Hall of Fame. A ceremony to honor the inductees will be held on Friday, October 6 during the 17th Annual Las Vegas BikeFest held in Downtown Las Vegas. The 17th annual Las Vegas BikeFest will be held October 5 - 8, 2017 in the heart of downtown Las Vegas on Fremont East. 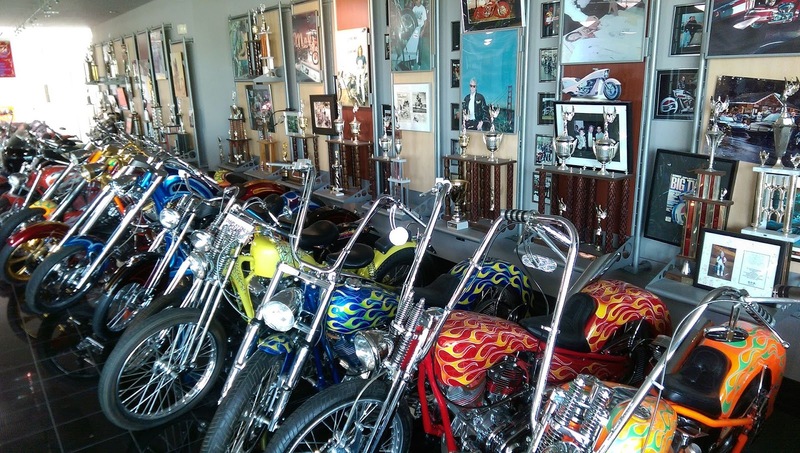 The purpose of the Las Vegas Motorcycle Hall of Fame is to honor the iconic ambassadors, influential heroes and people who put their interest above and beyond for the motorcycle community. These people have touched Las Vegas in a unique way. Our aim is to celebrate, illuminate and preserve the rich tradition of motorcycling in America.